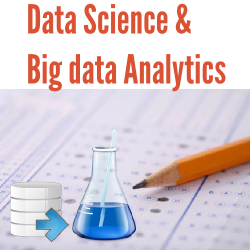 This course at My-Classes provides access to CCSHB practice exam for candidates to self-assess their exam-readiness against the full course of certification objectives focusing on Apache HBase. 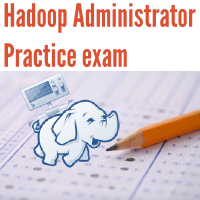 45 questions simulating live Cloudera Certification exam with 90 minute time limit. Rich pool of 200+ questions based on many interviews and authentic course-ware. Recognize the fundamental characteristics of Apache HBase and its role in a big data ecosystem. Identify differences between Apache HBase and a traditional RDBMS. Describe the relationship between Apache HBase and HDFS. Given a scenario, identify application characteristics that make the scenario an appropriate application for Apache HBase. Describe how an Apache HBase table is physically stored on disk. Identify the differences between a Column Family and a Column Qualifier. Given a data loading scenario, identify how Apache HBase will version the rows. Describe how Apache HBase cells store data. Detail what happens to data when it is deleted. Identify the major components of an Apache HBase cluster. Recognize how regions work and their benefits under various scenarios. 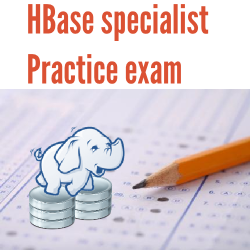 Describe how a client finds a row in an HBase table. Understand the function and purpose of minor and major compactions. Given a region server crash scenario, describe how Apache HBase fails over to another region server. Describe RegionServer splits. Describe the factors to be considered with creating Column Families. Given an access pattern, define the row keys for optimal read performance. Given an access pattern, define the row keys for locality. Describe the functions and purpose of the HBaseAdmin class. Given a table and rowkey, use the get() operation to return specific versions of that row. Describe the behavior of the checkAndPut() method. Recognize how to create, describe, and access data in tables from the shell. Describe how to bulk load data into Apache HBase. Recognize the benefits of managed region splits.